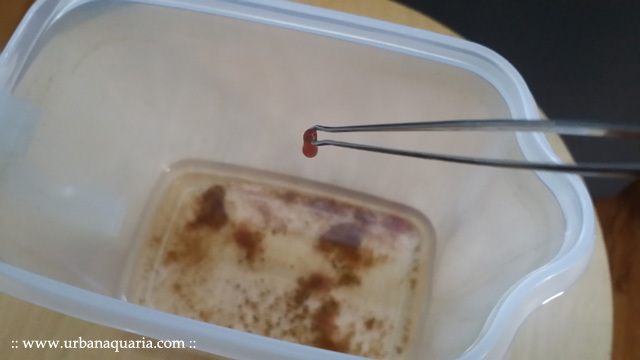 Back in May 2015, i managed to obtain a starter culture of microfex (aka dero worms) from J'adore at the Aquatic Quotient forum. Microfex are similar to tubifex but they are much smaller in size, hence easier for smaller fishes and fish fry to eat. In addition, they are hardy and can consume all sorts of food, so their care and maintenance is relatively simple. 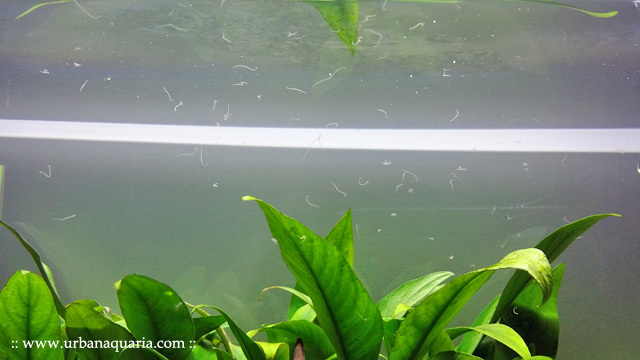 I set about experimenting with different methods to culture the microfex as live food for my fishes. 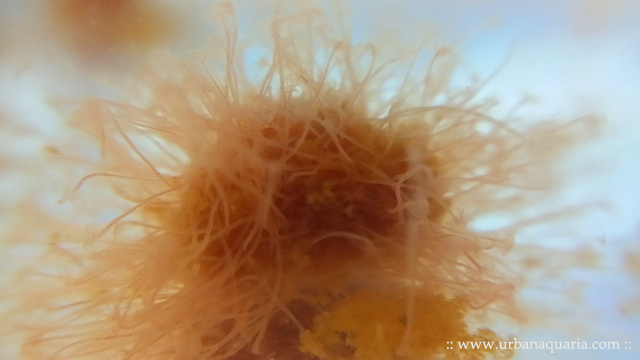 The starter culture i got was perhaps 20-30 worms, a small ball of them measured around the size of a pin head. You can compare the difference in density and size of the worm culture based on the same sinking wafers in the container. During the early stages of my microfex culture experiments, i divided the starter culture into a few separate containers to test different water parameters and feeding techniques, eventually i settled on a setup which worked for my space and feed requirements. No filter or air stone installed (based on the research document findings) and no substrate added (to make maintaining the container and harvesting the worms easier). 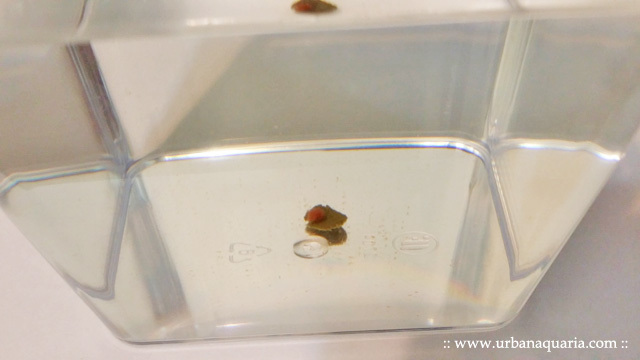 Feeding the culture is just a matter of periodically adding fish or shrimp food into the container, the microfex will automatically crawl towards the food and start feeding on it. Each time i feed a combination of algae or sinking wafers/pellets equivalent to the mass of the worms. The worms usually finish eating that amount of food within a day. Maintenance and water changes is simply pouring out the container water (usually when it gets stinky) and then replacing it with clean dechlorinated tap water. I usually change 90% of the water every 2-3 days (pouring out the old water through a fine brine shrimp net to catch any free swimming microfex, which i then return back into the container). The majority of microfex will clump up at the bottom of the container anyways, so its quite easy to manage. ... and then swish it around in the tank. The microfex will scatter and start swimming in the water column. Its time for the fishes to start hunting! Based on my experience culturing microfex so far, i've found that the speed of their population growth depends greatly on the amount of food they consume. They reproduce by fission method, a young worm grows from one end of an adult worm and they eventually detach to form 2 worms... so more food = more growth = the faster they multiply. Therefore if you want to grow the population fast, just supply them with more food. But therein lies the issue of water quality, more food = more waste. Although microfex seem to be highly tolerant to poor water conditions (even when i left my microfex cultures for almost a week without food and the water turned super stinky, they still survived), their reproduction rate will stall significantly. So there will be a limit to how many worms and food (aka bio-load) a container can handle based on its water volume. 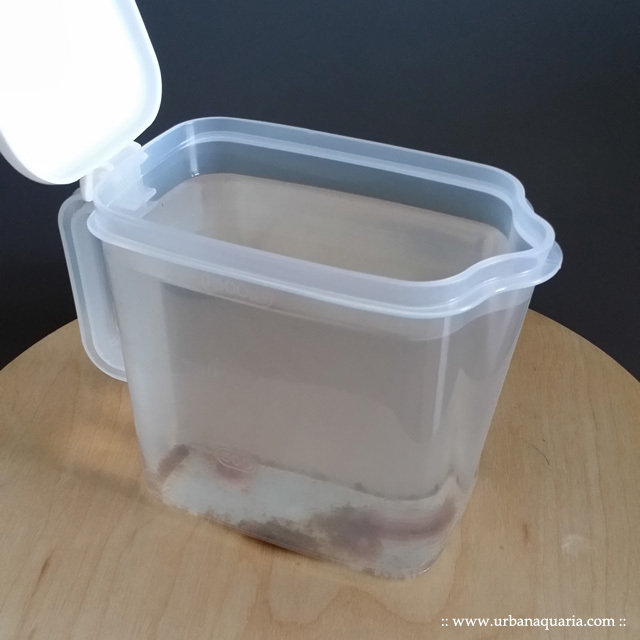 If you are looking at just feeding your fishes live microfex every few days as a treat, then my 1.5 liter container culture example as mentioned above is a simple, space saving way to do it. But if you want to culture more microfex to feed more fishes on a daily basis, then you'll need to increase the container size and water volume accordingly, so that it can support a much larger population of worms and the increased amount of food required to sustain them. Co-culturing daphnia or moina with microfex is also a good technique, i add a small amount of moina into my microfex cultures and they filter feed on the suspended bacteria created by waste production from the worms. 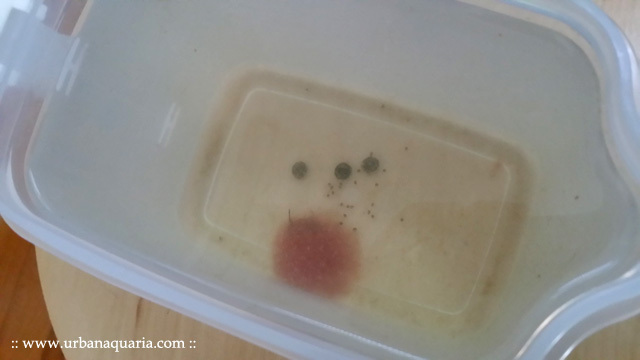 This enables the culturing of two varieties of live food in one container (do note that with moina in the container, the overall bio-load can overload very quickly due to the speed at which they can multiply, so you'll need to keep a closer eye on the water conditions to avoid a crash).